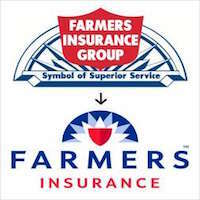 The Farmers Insurance Group—commonly called simply “Farmers”–is a major provider of policies for auto insurance, home insurance, life insurance, and more. Headquartered in Los Angeles, Farmers insures approximately 10 million households, many of which are located throughout California. Despite being the third-largest insurance company in the U.S., many people seeking payouts from Farmers have been disappointed and have had to fight to obtain the amount they deserve for their claims. If you need to file a claim with Farmers Insurance, you should first discuss your accident and injuries with an experienced Los Angeles personal injury attorney who can assist you throughout the claims process. Survey organizations such as Consumer Reports and JD Powers regularly assign Farmers a low rating for customer service and satisfaction. The American Association for Justice (AAJ) named Farmers as one of the ten worst insurers in the United States due to a mission to place profits ahead of policyholders. According to the AAJ report,1 Farmers regularly seeks ways to wrongfully deny or limit claims and uses software to evaluate injury claims, which regularly results in failed or reduced payments. In addition, Farmers has faced many lawsuits for handling insurance claims in bad faith, as well as threatened government sanctions for refusal to pay valid claims. Many accident victims believe that they will receive a sufficient settlement offer from Farmers simply because they make a claim. However, Farmers claims adjusters have many tactics they use to limit liability. An experienced personal injury attorney will understand these tactics and will know how to prove the true worth of your claim to Farmers to increase the amount of your settlement. In many cases, an investigation and evidence gathering are necessary to present to the claims adjuster to demonstrate the settlement you truly deserve. Unfortunately, whether presenting an auto accident claim or an injury claim on commercial or residential property, my personal experience in presenting, prosecuting and litigating auto and homeowners insurance claims in the Golden State mirrors the track record described above. On auto insurance claims, it is my opinion that the settlement offer will not even approximate the fair value if the party is not represented by an attorney. Although the law requires payment for present and future medical bills, the value of lost wages and income and pain and suffering, I consistently hear individuals relate that they are offered a reduced value of the medical bills and a very small (read hundreds of dollars in many cases) offer for pain and suffering when they try to present their claim without an attorney’s help. Due to Farmers’ track record, there is almost no chance of receiving the amount you deserve without an attorney on your side who will refuse to back down against this billion dollar company and who will take your case all the way to trial, if necessary. If you believe you have to file a claim with Farmers, you should call the Steven M. Sweat, Personal Injury Lawyers, APC in Los Angeles to speak to an experienced accident attorney as soon as possible. Call us today at 866-966-5240 for help.